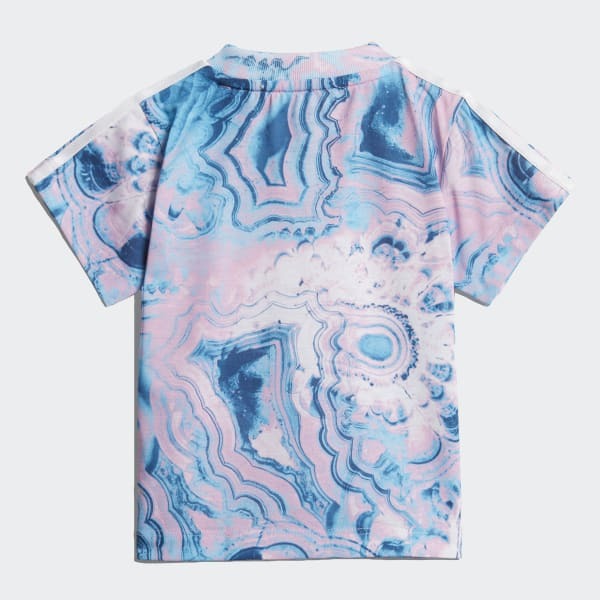 A soft tee with an allover beach-inspired print. Carefree beach vibes inspire this fun piece. 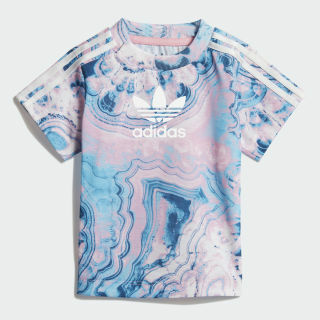 This infants' t-shirt features a marble print that looks like moving clouds or waves. Buttons on one shoulder make it easy to take on and off. A single jersey fabric gives it a soft feel.